Plants need sugar to live, but they produce it themselves through photosynthesis, the process plants use to turn light energy into carbohydrates. As is evident from the taste of rose hips and rose petals, roses already have quite a lot of sugar in them. Adding a little sugar to the water for cut flower arrangements may help them look pretty for longer, but watering rose bushes with sugar water can do more harm than good. Watering plants with salt water kills them because water cannot enter the roots' cells, causing the plant to wither from drought. Sugar in the water has a similar effect. The reason for this is that plant cells take in water through osmosis, where high concentrations of water from the outside of the root move to the places of lower water concentration inside the root. Like salt, sugar prevents this process of osmosis from happening because if the concentration of salt or sugar outside the plant is more than the concentration inside the plant, water cannot enter the roots. 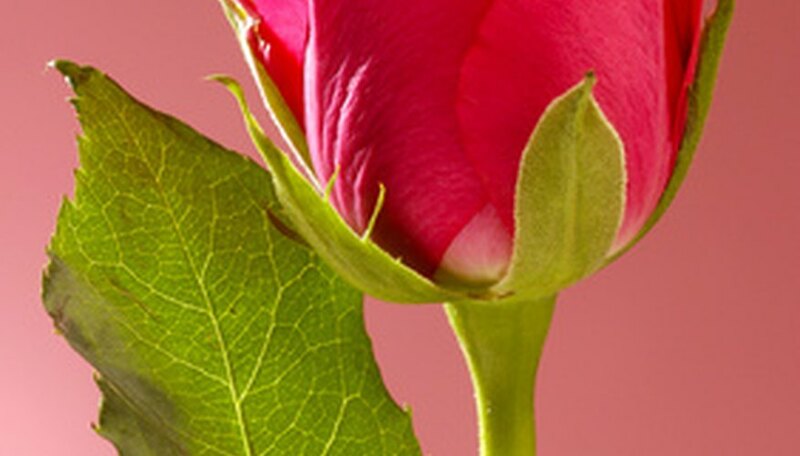 Roses produce their own sugar naturally, so watering them with additional sugar to feed them is unnecessary. In fact, this can actually harm rose plants because the sugar attracts insects, bacteria and fungi that attack the plant. When a rose is growing in the garden, it produces its own sugar through photosynthesis. When the flower is cut, it continues to produce its food for a short time, especially if the stems are left long. After a few days, however, the rose can no longer make the energy it needs to feed itself. Adding a little sugar to the water in a cut flower's vase provides it with a little extra energy that keeps it looking fresh for a few days longer. Additionally, roses in sunny gardens are better able to produce their own energy, but there is usually less light inside of a house, which reduces the plant's ability to make its own sugar. Sugar in the water can help to make up this deficiency. Simply mixing some table sugar into the vase with the water is not enough to prolong the cut rose's life because the sugar crystals can actually block the water from getting into the stem. To make the sugar most effective, Santa Clara County Master Gardeners Association recommends mixing one part lemon-lime soda with three parts water because the soda contains sugars that are more soluble and immediately usable to the plant. The acid in the soda also helps to maintain a pH that is most conducive to the rose's ability to process sugar. Mad Sci Network: How Does Sugar Water Affect the Growth & Development of a Plant? Mad Sci Network: How Does Sugar Water Affect How Long Cut Flowers Live?